Truck tires have to put up with a lot: As a result of the heavy loads they carry and the long distances they travel every day, they are subject to heavy wear and tear. 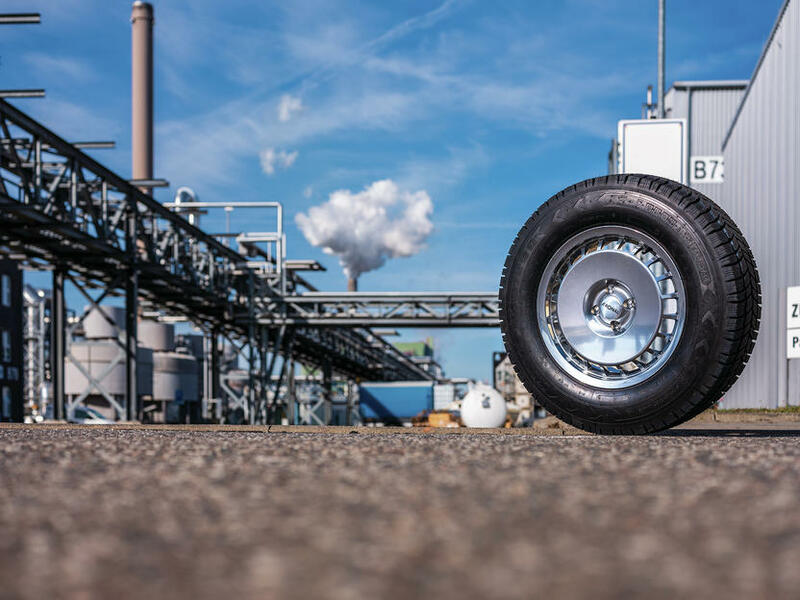 Consequently, the treads of the tires are manufactured primarily from natural rubber that comes from rubber trees and to date has demonstrated the best abrasion characteristics. Before now, artificially manufactured rubber has been unable to match the performance of natural rubber, at least in this respect. The problem with natural rubber is that the security of supply for this important raw material is endangered. In Brazil, the original home of the rubber tree, the fungus Microcyclus ulei is laying waste to whole plantations. If the fungus crosses over to Asia, where major cultivation areas are located today, the global production of rubber will be threatened. But how did the researchers achieve this higher performance? At Fraunhofer IME, scientists investigated rubber from dandelions. Like the rubber from rubber trees, 95 percent of dandelion rubber consists of polyisoprene, while the remaining percentage is made up of organic components such as proteins or lipids. The advantage of dandelion rubber over tree rubber: the former has a generation succession of just three months as opposed to seven years for the latter. That makes rubber made from dandelions an ideal starting point for investigating the influence of organic components on the rubber characteristics. To this end, the Fraunhofer researchers eliminated the key organic components involved in a targeted manner. After they had identified the organic components that were important for abrasion behavior, the researchers at Fraunhofer IAP synthesized the BISYKA rubber out of functionalized polyisoprene with high microstructural purity and the respective biomolecules. Their colleagues at Fraunhofer IWM and IMWS then investigated the characteristics of the rubber variants thereby obtained. To do this, they used extensional crystallization: If you stretch natural rubber to three times its length, crystalline regions form – the rubber hardens. “The extensional crystallization of BISYKA rubber equals that of natural rubber,” explains Wendler. When making truck tires, the rubber is usually mixed with carbon black – which is where the black color comes from. Increasingly, however, manufacturers are adding silicates to the mixture instead of carbon black. This is where the expertise of Fraunhofer ISC comes in: At the institute, scientists investigate how new kinds of silica fillers can lead to optimum alternatives to natural rubber in the automotive industry.